Dan Borislow’s larger-than-life reputation was so great that, upon hearing of his death this morning, I immediately thought I needed to get his side of the story. I was sorely tempted to text him, thinking I might get an entertaining response about a bunch of idiots declaring him dead when he had every right to be alive. In this case, he would’ve been right. To pass away so suddenly and so young, with children just on the verge of adulthood, is a colossal injustice far beyond anything alleged in a Palm Beach County court document. And for someone like Borislow, who refused and ridiculed idle lifestyles, to pass away from a heart attack after a soccer game is a cruel contradiction for a man whose life was full of contradiction. The first time I spoke with him was at his urging. I had just reported a development in his unraveling relationship with WPS, and I fully expected him to rip me a new one over the phone. Instead, I called and found a quiet, distracted guy who really just wanted to chat a bit. 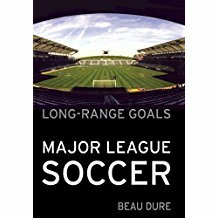 He was a man who cared deeply about the women on his team who showed no regrets about scorching the earth under their flailing soccer league. He was a man who enjoyed chatting with reporters but instilled a powerful code of silence among his players and others in his employ. Strong soccer-playing women would take great care to avoid saying anything about life as a magicJack player. He was a smart man with a knack for making money, most recently taking $6.7 million in a horse racing jackpot, and yet he was prone to email outbursts that were barely coherent, picking fights with people over trivial things like placing required advertising boards at league games. It’s safe to say he had issues with authority and would speak up for himself in court. He lost big when he tangled with popular website Boing Boing. A search of Palm Beach County court records shows a long list of traffic infractions, many of which he challenged. He has a couple of court cases, traffic and civil, still open. He also enjoyed venting. My email was full of rants about U.S. Soccer, WPS and other women’s soccer figures. They got a little personal at times, but if you’ve read any of the court documents from the WPS lawsuit, you already get the idea. And yet, he cared deeply about a couple of things. First was his family. Second was women’s soccer. Early in our correspondence, I asked him if he had considered any relationship with youth clubs that had worked with the Washington Freedom as the pro team packed up and left town. “I would do anything for youth soccer,” he replied. 5 hours ago you squeezed me and told me you loved me. You are the father I never had Dan Borislow, now and for the rest of my life. 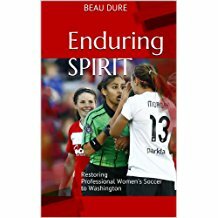 If women’s soccer could have somehow harnessed his enthusiasm and willingness to support the sport without dealing with the controversies that surrounded him, the sport would have surely been better off. But that would never happen. 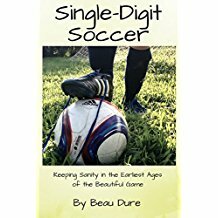 “Beau, if my wife can’t change me, no one will,” he once told me with a bit of a laugh. My sincerest condolences to his family, and I hope his legacy will be to inspire others to take an interest in women’s sports and other underfunded outlets for talented people. A quarter page obituary to Dan Borislow was in the Los Angeles Times of Wednesday, July 23, 2014. Mostly discusses how he invented and developed Magicjack. Also mentions his big score predicting the winners of six horseraces at Gulfstream Park in May, 2014. No mention of his involvement with WPS , nor women’s soccer was made in the article.